Lowmill Landscapes specialise in all types of landscape work. The small team of experienced craftsmen provide an excellent service throughout the Yorkshire Dales and surrounding area. Whether your requirements are for a small area such as a patio or courtyard garden, or for the more ambitious project of a full garden makeover, the team at Lowmill will be happy to help. 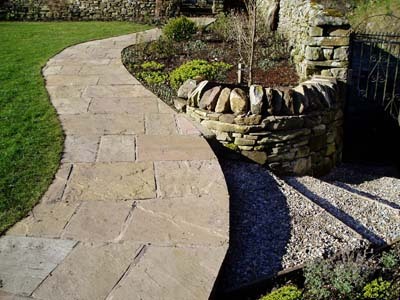 Utilising hard structural materials for Paths, Patios, Block Paved Drives and Stone Walls. 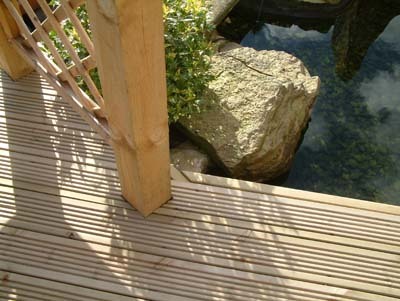 Quality Timber for wooden structures such as Decking, Fences, Pergolas, Arches, Arbour's and Trellis. 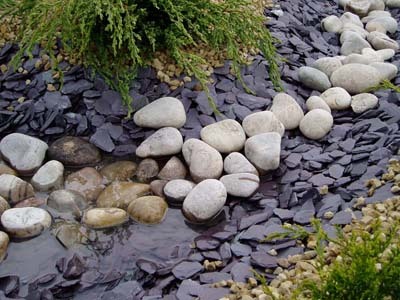 Water Features, including Streams, Ponds, Fountains, Waterfalls, Modern Water Sculptures and Water Cascades. 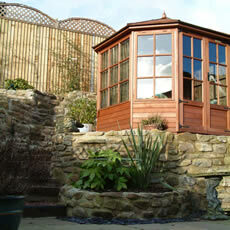 If you are not sure what you would like, Lowmill Landscapes can help with design and ideas. Providing simple suggestions or drawing up plans and artist impressions.